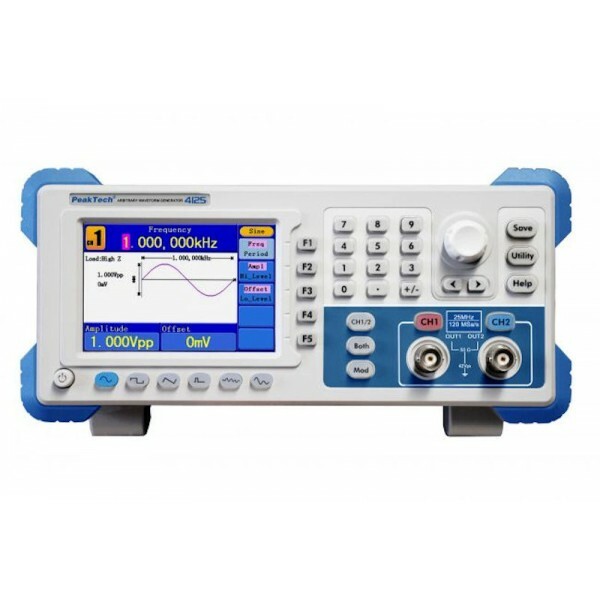 This newly designed direct digital synthesis (DDS) arbitrary waveform generator with advanced graphical user control has excellent technical properties and a high variety of functions. Of particular note here are the two equivalent output channels, the large number of pre-stored arbitrary waveforms and many different types of modulation. In this way, this device is perfectly suited for nearly all tasks in research, development and the training area. Signal characteristic 120 MSa/s ; 14 Bit ; 4096 Pts.